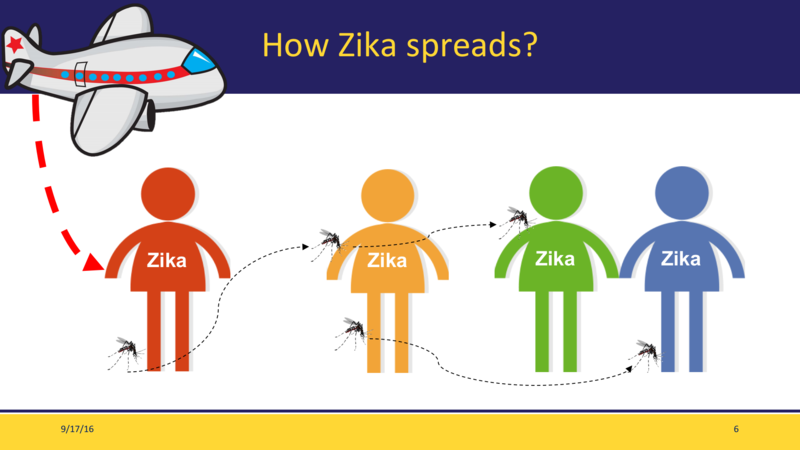 The educational presentation on Zika and the mosquitoes that can carry it covers topics such as the Zika virus, how the virus spreads via mosquitoes, the mosquito life cycle, how to prevent mosquito breeding sites and how to prevent mosquito bites. The educational brochure on Zika can go home to parents. 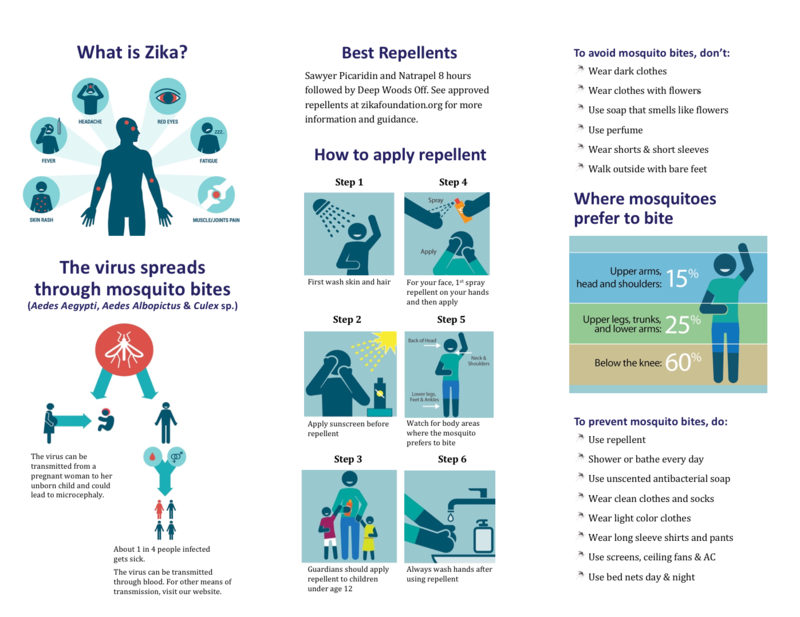 It includes important topics such as what is Zika, the best repellents, how to apply repellent, how to prevent mosquito breeding sites and how to avoid mosquito bites. Click here to access the brochure. Follow-up curriculum can be developed for any age student to check for understanding. Please see the activities provided below for elementary-aged children. Answers to the activities can be found in the accompanying brochure. Other activities you can create include 3-2-1 tools, mosquito bingo, exit tickets and more. 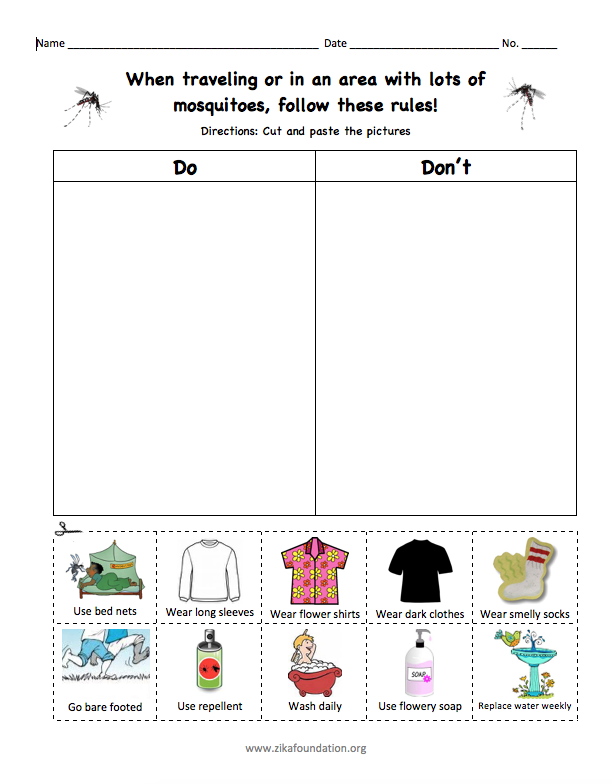 Click here for a sort activity on the do's and don'ts of mosquito rules. Click here for a find-and-circle activity on common mosquito breeding sites around the home. Click here for an order-the-steps activity for applying repellent. Click here for a where mosquitoes prefer to bite activity.